Audacity 1.3.5 Beta 0 out of 5 based on 0 ratings. * Several bugs fixed so that latency correction should be better, and more devices work correctly. * Problems with invalid sample rates under Linux should be much rarer. * Newer version of Portaudio library. * New feature to record onto the end of an existing track (hold Shift while clicking Record). * Updated versions of Libogg, Libvorbis, Libflac, Libsndfile and Twolame libraries. * Handling of unsupported file formats more informative. * Handling of file names with slashes on OS X improved. 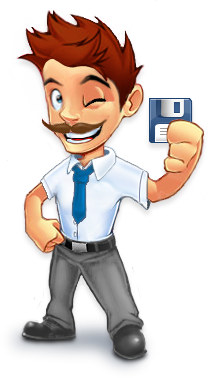 * New dialog allows replacement of illegal file name characters on all platforms. * Improved scaling and layout for rulers and VU meters. * Envelope fixes/improvements including full control of undo/redo. * New keyboard shortcuts and improved menu navigation. o More intuitive tab arrangement. o New options for mute/solo and Metadata Editor behavior. o Language can now be changed without restart. * Expanded Build Information tab. * New Vocal Remover plug-in, improvements for Generate effects. * Fixes when building Audacity with libraries disabled. * Improvements to make Mac and Solaris builds easier. * Full fix for issue CVE-2007-6061 on systems where temporary directories can be changed by other users (thanks to Michael Schwendt). * Updated translations for many locales.